So the beautiful October in Ireland allowed for me to get out a fishing a bit more then usual. With plenty of mackerel about stuffing our faces with this tasty and nutrient rich fish wasn't enough. How then do we keep this fish long after the fishing is over? Cold smoking that's how, not only extending the shelf-life of the fish but without the heat we can protect the nutrient rich flesh. 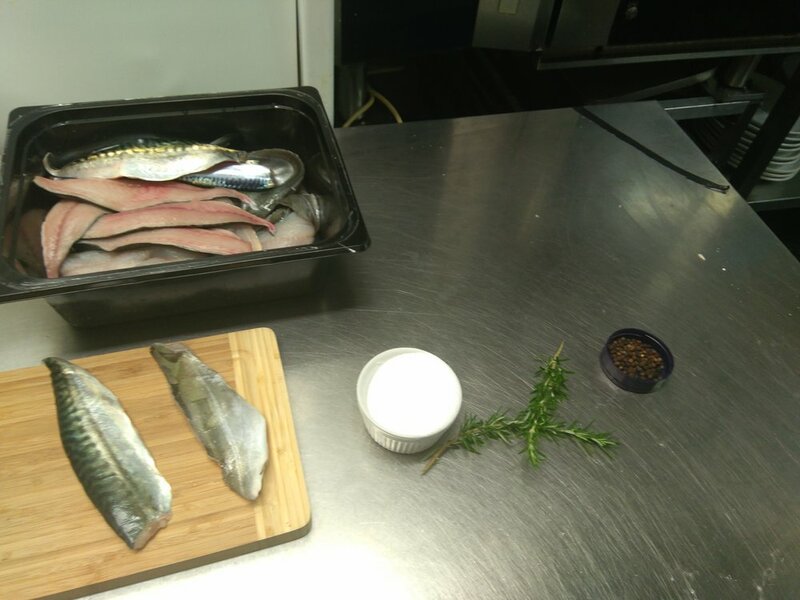 Mackerel is high in protein about 19g per 100g of fish.It also has a good fat profile with both omega 3 and omega 6 present, on top of that add your bodies complete need of Vit D and B12 makes mackerel a winner in my books. Getting ready to brine and cured the fish. So after cleaning the fish , i made a brine which is the salinity of the sea or there abouts. Seasoning with rosemary and black pepper for flavor. Fillets are left brine for 12-24 hrs killing a lot of the bacteria. After the fillets are left to dry for a day in the fridge when removed from the brine. Hanging the fish in our homemade smoker. After that the smoker is lit and an good ember pile is created. Adding oak smoking chips we start the process of the smoking. We hope to smoke slowly for 12-14 hrs but you can go as far as 2 days. So after the 12 hours these fillets are ready to be stored and eaten. I'll write a post with a nutritional minded recipe in the days to come. Right now though i enjoy these with my scrambled eggs in the morning. Thanks for reading the blog , feel free to drop us a comment. Thanks mother nature for your wonderful bounty. Great foraging fun.